We empower our clients to turn insights into action and truly target everyone. We are TargetEveryone, a global SaaS Martech company providing best in class market and customer insight - fully integrated with unique communication and dialogue solutions. We enable our clients to turn insights into action and truly target everyone. TargetEveryone provides an online subscription tool for multichannel communication, tailored for any business that needs to get their message across. Create your campaign with ease and fun by using our powerful Drag & Drop tools. Create unique content like coupons, forms, surveys and landing pages in minutes. SpectrumOne is developed for enterprise clients. With our new tool clients can combine market analysis, customer segmentation and dialogue – all within one system. Visit www.Spectrumone.com to read more. The company is parallel listed on Nasdaq First North in Stockholm and Merkur Markets in Oslo, and has partners and customers in more than 190 countries. We have offices in Sweden, Norway, The Netherlands, Portugal, India and the USA. The discipline of marketing is changing at a rapid pace. All over the world marketers and brand owners utilize the power of Martech to reach out to their customers. And by Martech, we take the grand view and define this as the convergence of marketing, technology, and management practices across industries and channels— and the hybrid marketing leaders who are driving the strategy and operations of that convergence. The marketing technology landscape has advanced tremendously over the past years, and processes that were manually intensive and cumbersome can now be automated and put into action in minutes, not days. What used to be the digital tech fringe is now the marketing operations center. Marketing technologists are the new CMO´s and the borders between online and offline marketing are disappearing with >50% of budgets going digital. But technology is just an enabler. As a marketing software provider our core focus should be at empowering marketers with a solution that provides clarity into their opportunity space – and flexibility in how they engage their customers. We cannot define how our solution will be used by our clients in the future, but must stay innovative and open for collaboration with other players within the Martech ecosystem. In order to be successful, we need to take a stand within the large opportunity space Martech provides. There are more than 100 digital marketing channels and thousands of companies competing for attention. We cannot beat them all. Going forward, TargetEveryone will focus on two areas within the Martech space – and devote all our time and attention into providing world-class services in these two areas. We will do this by providing an enterprise SaaS for larger businesses whilst serving small/medium sized businesses with an online subscription solution. Market and Customer Insight. We want to provide marketers with the best 360-degree-customer view in the word and truly amaze EVERYONE with the features and insight we can provide clients. We know that for marketers, it all starts with knowing your customers and understanding who you target with what message in which channel at what time. Multichannel Communication. We support our clients in the view that to truly reach and engage customers today, brand owners must deliver content, experiences, and campaigns across several digital channels that are converging. We see these two services as 100% interlinked and with SpectrumOne we offer a seamless integration enabling insight to be put into immediate action. Marketing is changing. And so is TargetEveryone. It is hard to fully appreciate the big opportunity space before us whilst we are focused on getting stuff done a day out and day in. We need to lift our heads and look around us at one of the most exciting areas of development taking place in the world today. Big data, automation, and A.I cutting edge technology development – it is all coming together now. And we want to be at the forefront of development - all for the sake of allowing our clients to succeed with their efforts towards their customers. “We are TEO, a global SaaS Martech company providing best in class customer insight - enabling our clients to turn insights into action through our communication platform and truly target everyone”. Technology is a vital base but the passion lies in creating customer value and fabulous user-experiences. We all have one common goal – helping our customer succeed. Torkel Johannessen (1977) is the CEO of TargetEveryone. 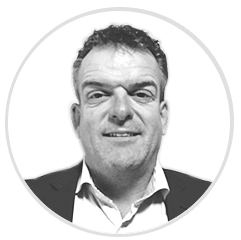 Torkel has been a board member of TargetEveryone since 2016, and CEO since October 2018. Prior to this, he was director of e-commerce and the Omni channel in Norway's largest cosmetics company, VITA AS. 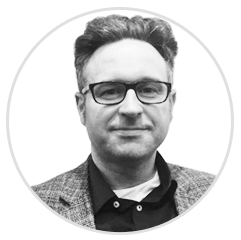 Torkel has more than 15 years of experience in digital media from the US, the UK and the Nordic region and has worked for companies including Match.com, Yahoo! and Egmont. Torkel has a master's degree in International Marketing. Michael Irgens has a background as a management consultant in a variety of industries and leadership experience from digital marketing, TMT and the Energy sector. Michael holds a Master in Business and Economics from BI Norwegian Business School. When he is not working, you can find him windsurfing and cross country skiing with his family. Stephen Karl Ranson (1969) is the CTO of TargetEveryone and was appointed in November 2017. 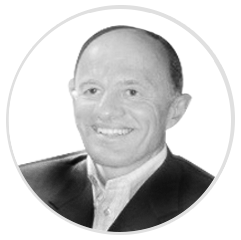 Stephen has an extensive and deep background in IT & development, technology platforms and Security spanning over 28 years. He is also the CEO and founder of the Big Data and analytics company Cloud Explorers where TargetEveryone owns 30% of the shares. 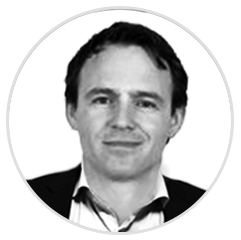 Stephen has further experience as CTO of Formuesforvaltning and many different international projects. During his time in Norway he has established himself as an industry expert, speaking at many events around Big Data and Analytics and has been published several time in various analytics journals. Stephen has studied computer science and mathmatics at Winstanley College. 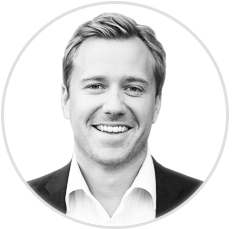 Vegard Brattum comes from Posten Norge AS, where he had different positions, and was Head of M&A. 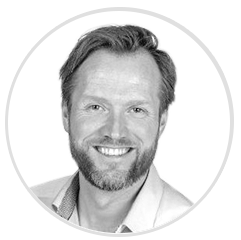 With a master's degree in Business and Economics, from BI Norwegian Business School, he has an extensive experience and will contribute to TargetEveryone’s growth and development. 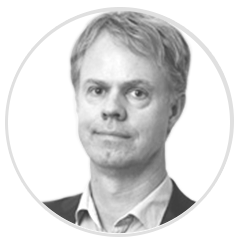 Bjørn Forslund is a serial IT entrepreneur having co-founded 10 companies in the space and has worked as CXO in the past. Way back Bjørn was a professional sailor and became a National Champion in Sweden, Norway and Colombia. He also became the World Champion in 1995 and 1997. Thomas Dehli Cleve is a serial entrepreneur having founded several companies, within the digital & marketing space in the past. He won first prize for the best business idea in 2001 hosted by Innovation Norway. Several years ago, Thomas was a professional Ballroom dancer, and became third in the World & European Championship held in 1989 and 1990. 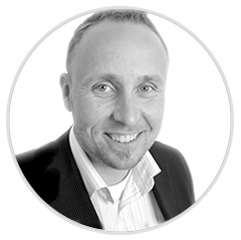 Andreas Jansson have been working in the IT industry since year 2000 and SAAS last 10 years. Dedicated sales persons with focus on customers needs and finding solutions that helps bringing more business to our customers. Previous roles has been as a Sales director to the Nordic markets. 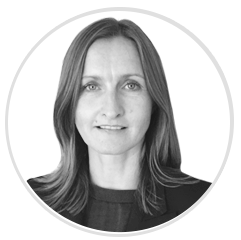 Hilde Forslund is Head of Projects and Delivery in TargetEveryone. Hilde attended the company in may 2017, and has 20 years of experience on client delivery projects from media and communication agencies and consultancy agencies within CRM and 1-to-1 communication. She holds a Master of Marketing degree from BI Norwegian Business School in Oslo. 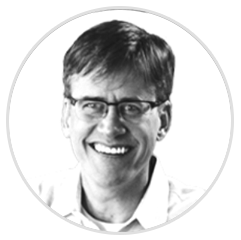 Bob is a true sales and marketing growth guy who loves validating and monetizing new, technology-based solutions. He has developed and implemented highly successful growth strategies working for large enterprises like Air Products and General Electric as well as at technology start-ups in the mobile marketing and healthcare segments. 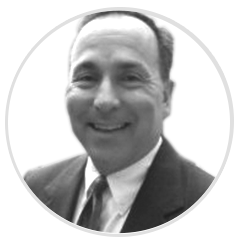 Bob earned his BS in Chemical Engineering from Bucknell University and his MBA from The University of Chicago. When he is not working, he can be found hanging out with his children or on the tennis courts. Educated as an accountant at high school level (Masters), he has worked in accountancy company (Price Waterhouse Cooper) and 2 main ICT companies, before being appointed as Executive Member of the Board of Exact Software Netherlands. After Exact he has started his own company and since 2014 he's running the TEO organization for the Benelux. He likes to watch soccer, being a referee, reading comics and not at least - spending quality time with his lovely wife and children. Fredric Forsman holds a Master of Law from the University of Lund. He has been chairman of the board since October 2016. Until December 2016 he was a member of the Swedish Bar Association and has been Managing Partner at Advokatfirman Glimstedt in the Baltics in 1997-2008. 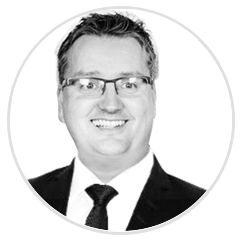 During the past five years, Fredric has been a member of the boards in Mavshack AB, SIA Catella Corporate Finance, Väddö Behandlingsgrupp AB, Behem Holding AB, Cardum AB and Wifog Holding AB. As a five-time CEO, Matt Harris (1960) has led companies large and small, public and private, domestic and international. Harris' leadership experience includes not only achieving high growth in both established and emerging technology markets, but also successful restructuring of distressed businesses. Harris has led firms in a number of different market segments, including mobile services and technology, networking infrastructure, automotive technology, marketing services and technology, and healthcare technology. Harris' global experience includes leading operations in more than 30 countries, and acquiring or divesting businesses in the U.S., Canada, the U.K., France, Finland, South Africa, Australia, and Japan. Drawing on his experience as a CEO and his background in finance, law, and technology, Harris brings a wealth of experience to each engagement. Mr. Harris has a law degree from the University of Michigan and a Bachelor's degree from the University of Washington. He has been a board member in TargetEveryone since June 2017. Erik Fagerlid (1961) was partner at PA Consulting Group from 1998 – 2016 and he has broad international change management experience, both from strategy- and organizational design assignments. 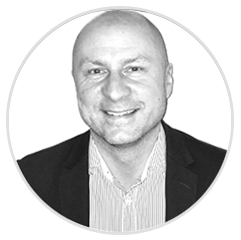 Erik´s main industry focus has been FMCG and Retail, and his expert service areas are; strategy development, strategy implementation, organizational design and change management. Prior to PA, Erik has 12 years of line management marketing experience from international food & drink- and pharma companies. Currently he is board member in Skill AS and Jensen & Co AS. Erik holds a MBA from Stockholm School of Economics (Handelshögskolan i Stockholm). Erik has been a board member in TargetEveryone since November 2018.